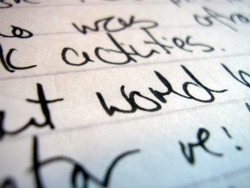 Writing a paragraph is one of the basic skills that all ESL writers need to learn. Paragraphs are the building blocks that’ll form the content of your ESL essay writing or ESL report writing. Sentences are used to form paragraphs. Paragraphs are used to form essays or reports. There are many different types of paragraphs that you can write, such as argumentative paragraphs. The most basic rule for writing a paragraph is that each paragraph has one and only one main idea. Paragraphs are used to structure your writing in longer pieces, such as essays and reports. So each paragraph needs to focus on one idea. People who read English writing know that each paragraph will focus on a single idea and will be expecting this. When people skim or scan a piece of text quickly they aren’t reading every word. They’re just finding the main idea of each section and moving on. They find the meaning of each paragraph and then move on to the next paragraph. If you’ve two or more main points in a paragraph the readers might miss something important which you’re trying to say. This is why it is important, when writing a paragraph, that each one has just one main idea. When you’re ready to talk about a new idea in you’re writing it’s time to start a new paragraph. Remember that you can use linking words to join paragraphs together that are about related topics but cover different main ideas. This way your readers will know that the information is all linked together. There is a specific paragraph structure to use when writing paragraphs. Each paragraph is made up of a number of sentences. The one main idea for the paragraph should be expressed in the topic sentence. This is often the first sentence in the paragraph, but can also be the last sentence if the paragraph is written in a climatic way with everything leading to the main idea. The easiest and clearest way for an ESL student to write a paragraph is to stick to the basic format of having the topic sentence first with the following sentences supporting the topic sentence. Then the final sentence in the paragraph can act as a concluding sentence which restates the main point. If needed, you can add linking sentences to the beginning or end of the paragraphs to help the flow of information in your essays or reports. As with all ESL writing and ESL essay writing the planning stage is the most important. You should plan what information will be in each paragraph before you start to write. The paragraphs should present the information so that it flows logically and the reader can understand your argument clearly. If you’ve planned properly before you start the actual writing process this should be fairly easy. Even if you’ve planned your paragraph well, you’ll still need to do ESL proofread on it once you’ve finished. When proofreading, you’re looking for any mistakes that you’ve made. The proofreading section of this website has plenty of information to help you proofread your own ESL writing and ESL paragraphs. If you need someone else to make sure that your writing is correct you can use my proofreading service. I will read your work and correct it while making comments on how you could improve it. You can also visit me on Facebook if you've any questions to ask.